Relatedly: how is it that we've known each other almost ten years? My brain is just imploding at the thought. I don't know how to process this. They ain't gone; silly people. I know I know, I own the DVDs. But I still miss them. DOCTOR: Because you were the first. The first face this face saw. 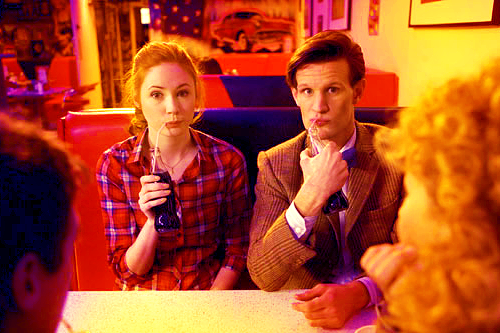 And you're seared onto my hearts, Amelia Pond. You always will be. I'm running to you, and Rory, before you fade from me.